Information for families | The Places We Will Go… Follow The Steps Below 1. 2. 3. 4. 5. The Places We Will Go… Follow The Steps Below 1. 2. 3. 4. 5. 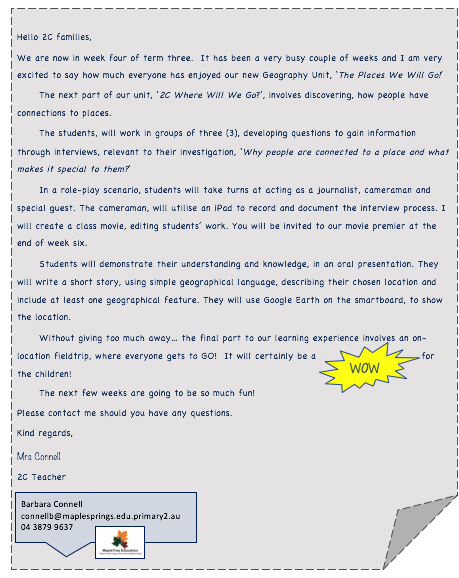 On the right hand side of the web page and below on the images are links to videos for you to see what technology your children will be participating in during the course of our Geography Unit. THESE TECHNOLOGIES WILL enhance and transform your children’s learning. 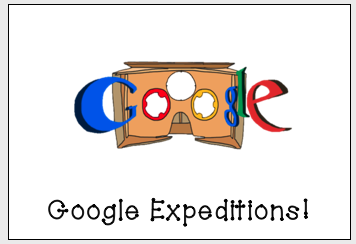 Students will use Google Expedition to take a 3D virtual field trip to locations near and far. 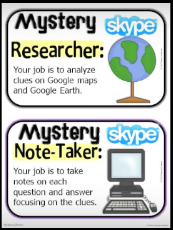 Students will participate in a Mystery Skype to another classroom across the globe as they guess each others locations via a quiz developed by the students. We are very excited to have the opportunity for the students to transform and enrich their learning in real world experiences from our classroom! Please read, complete and return the Permission Slip below for your child to participate in this wonderful experience. 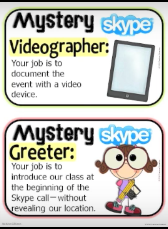 Take a look at Skype in the classroom CLICK here and on the image below. 2C LOVE to skype ! The Achievable Standards, ‘Students describe how people in different places… record data in tables, and on labelled maps’, (ACARA, 2017. p.1), guided the inclusion of selected Content Descriptions, Elaborations, Learning Plan and Assessments, formative and summative. 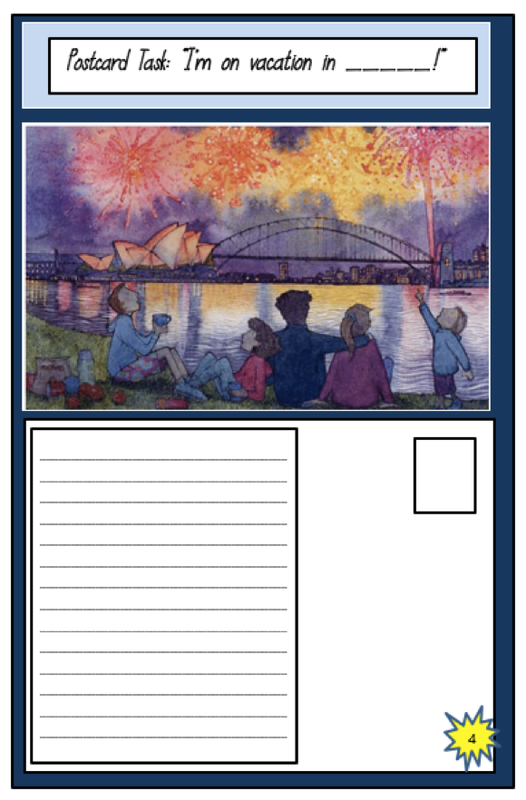 The unit will engage students in Geographical concepts outlined in the Australian Curriculum (2017) as Place, Space, Interconnection and Scale. 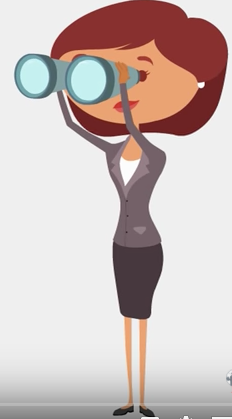 Additionally, Inquiry and Skills and Knowledge and Understanding, are developed through selected Content Descriptions and Elaborations. How are people connected to their place and other places? What factors affect peoples connection to places? 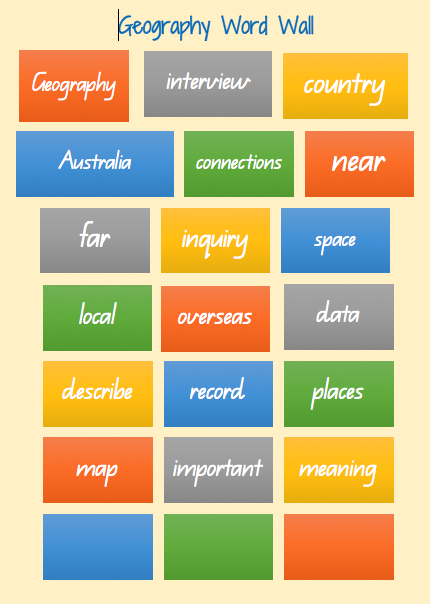 Geography: what is it for? 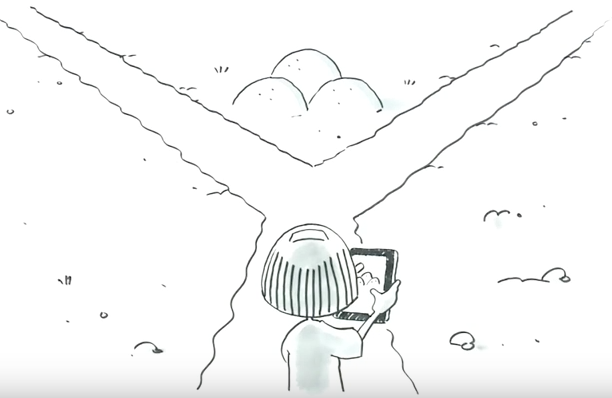 This animated video is designed to help teachers and parents understand the overarching purpose of the Australian Curriculum Geography. I can see you are having fun!! Keep up the great work. In 2C we go ‘above and beyond’ our classroom for our LEARNING! 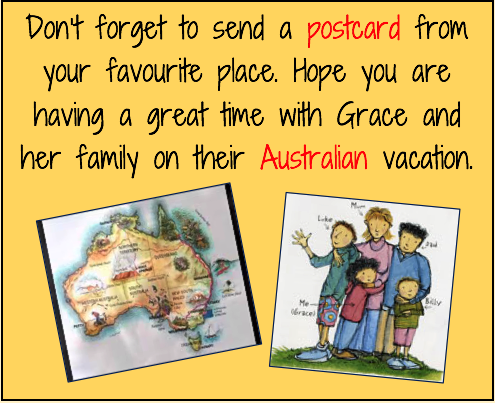 Take a trip to anywhere in the World! A volcano in the classroom…really ????? 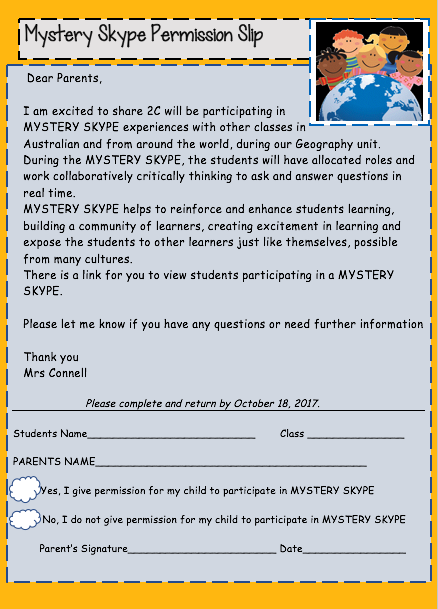 Mystery Skype connecting classrooms around the world! *Suitable for children. 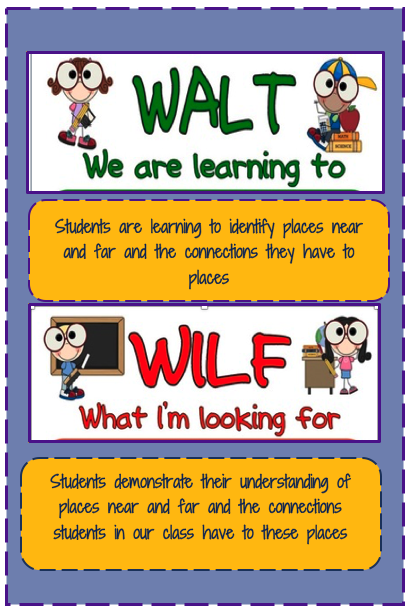 Places we connect with… "2C Where will we go?"